Have you seen a million versions of these (ranging from adorable to mutant) Easter bunny rolls? I first found a recipe for Honey Glazed Bunny Rolls in the original Gourmet Magazine back in the early 90’s when our son was a little tyke. They delighted him so much at the time, that I decided his glee at holding these edible, slightly mutant little bunnies in his pudgy hands made the effort of producing them well worthwile. 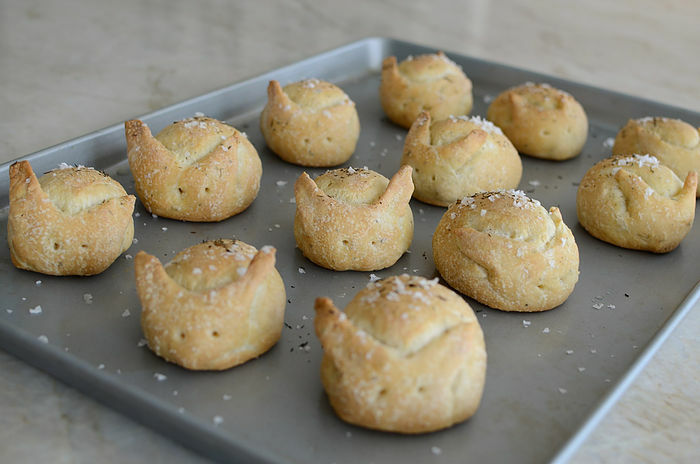 These bunny rolls take a bit of kneading and rising time, but are actually made from a rosemary focaccia dough so they’re lighter and more savory than the original Gourmet version. 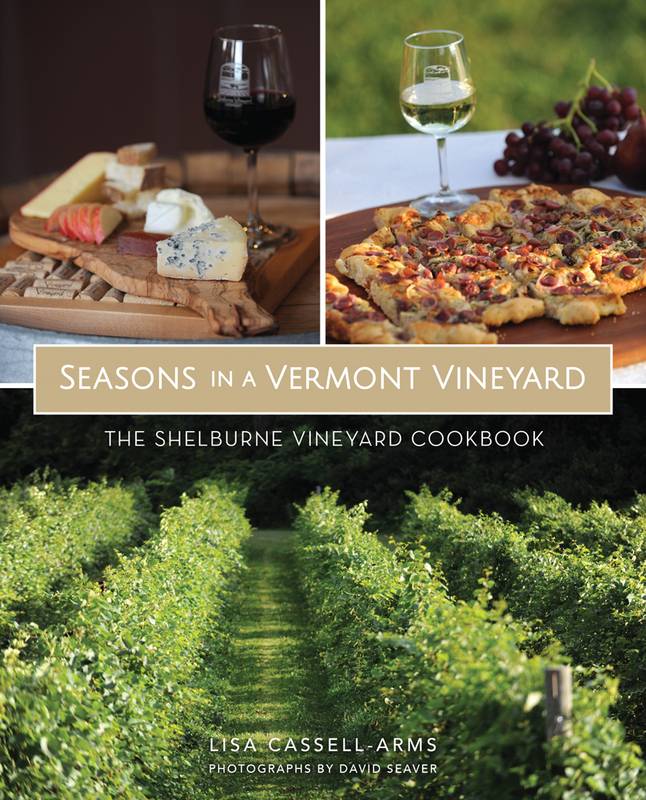 In a large bowl, whisk together yeast and tepid water. Let it stand until the yeast begins to bubble, about 5 minutes. Add the olive oil, salt, garlic and herbs and whisk together. 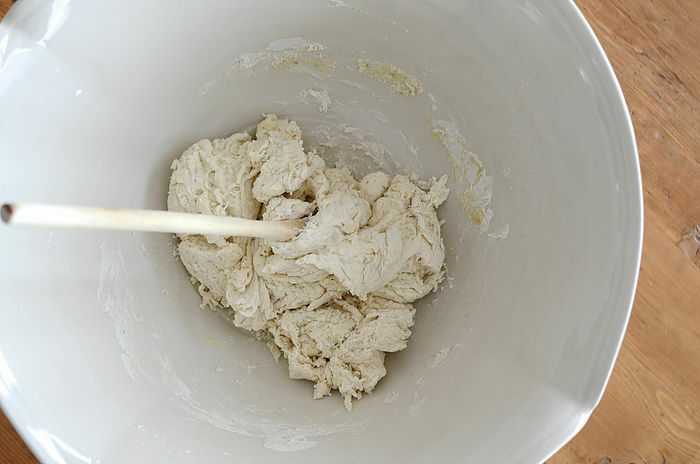 With a wooden spoon, stir in 3 cups of the flour until the dough comes together into a shaggy mass. 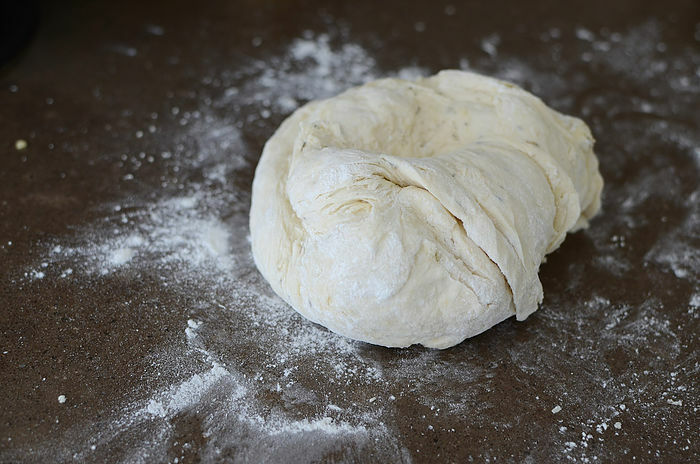 Dump the dough onto a floured counter and knead until dough is smooth and elastic, about 10 - 15 minutes, adding a little additional flour as needed to keep the dough from sticking. 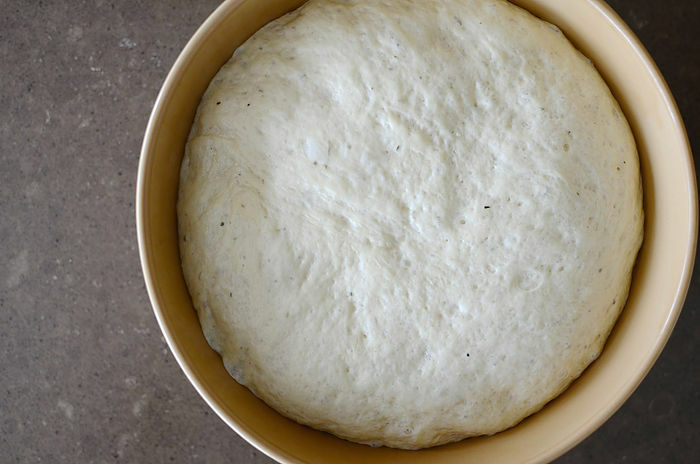 Place dough into a large oiled bowl, turn the dough to get oil onto all sides. Cover with plastic wrap and allow to rise in a warm place until doubled in size, about 2 hours. If you have a proofing setting on your oven, it’s perfect for this. 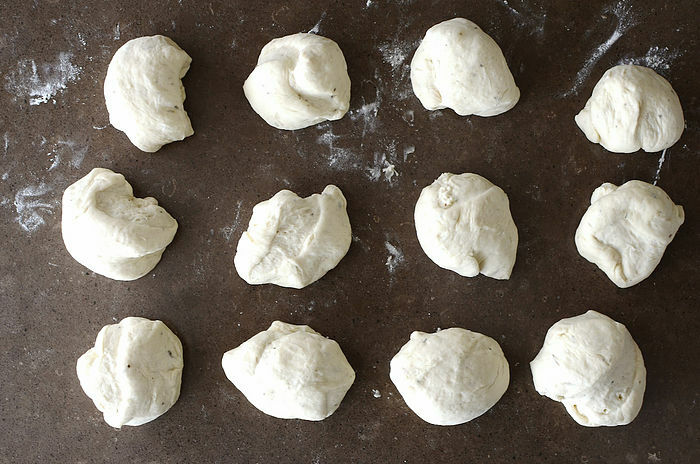 Punch the dough down and then divide into 12 equal portions. Shape into smooth ovals and place on a large, oiled baking sheet. 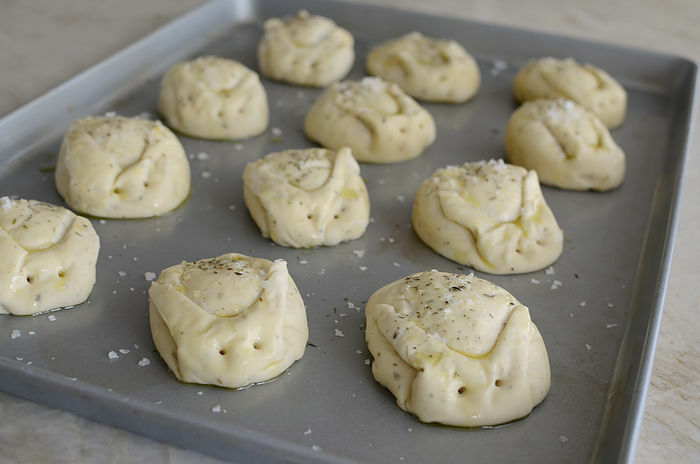 Cover with plastic wrap and allow to rise again in a warm place for another two hours, or overnight in the refrigerator. After rising is complete, allow the buns to come to room temperature. Using a sharp pair of scissors, snip two pointed ears and a tiny tail. Tug a bit on the ears to keep them from sticking to the body and use a skewer to poke two holes as eyes. 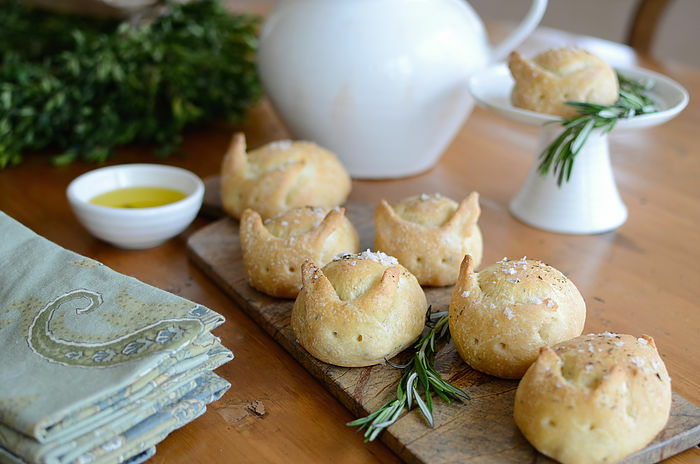 Paint the buns with olive oil and sprinkle with reserved rosemary and flaked salt. 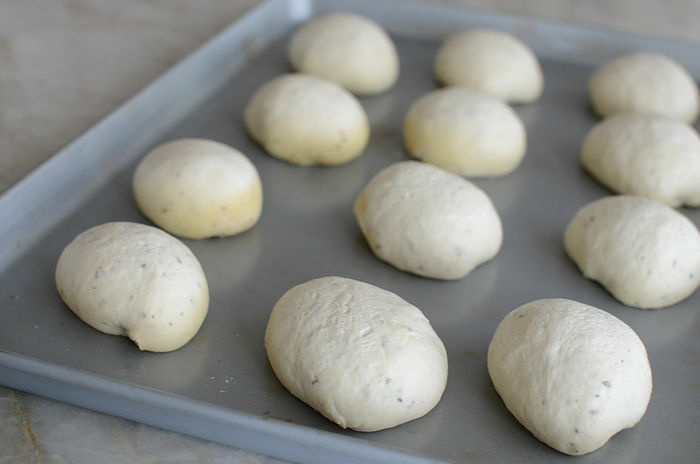 Bake for approximately 25-30 minutes, until buns are golden brown and sound hollow when you tap them.